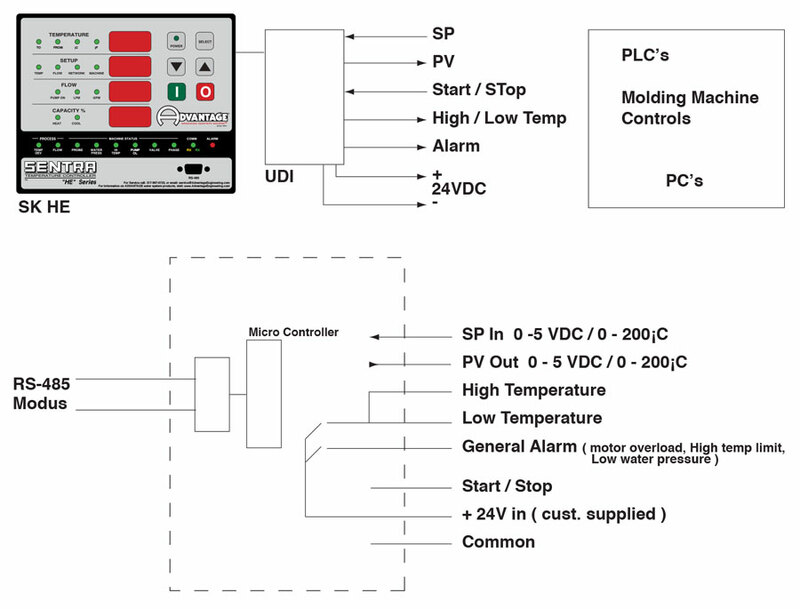 The Universal Device Interface (UDI) allows simple interfacing to ADVANTAGE Temperature Control Units and Chillers when a serial interface is not available on customer processing equipment. 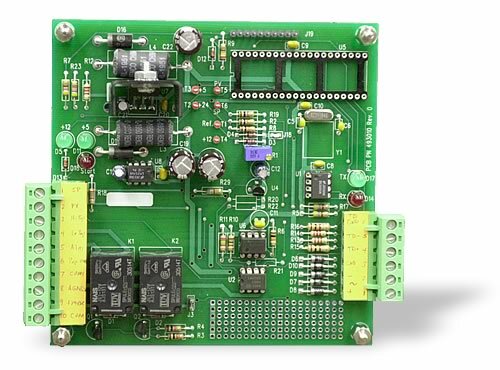 It provides an analog input and output of the SETPOINT and TO PROCESS temperature. It also provides contact closures for indicating temperature alarms and general machine alarms. The UDI enables REMOTE START and STOP of the unit by monitoring a customer supplied control signal. The UDI utilizes the RS-485 port provided on ADVANTAGE SK HE and MK HE controls to send commands and monitor the status of the machine. This status information is relayed to the UDI customer interface. The UDI can be field installed. For more information about the Universasl Device Interface call the Advantage Sales Department at 317-887-0729. Would you like to Download FYI #272 to your browser?